Default Special Abilities: Chance to reflect 50% of critical hits. Chance for "Overcharge! +50% Damage Boost! ", increases attack's damage by 50%. 100% Chance for "Knocked off Balance! Attack Bonus Lowered", lowers Bonus by 40, lasts 3 turns. 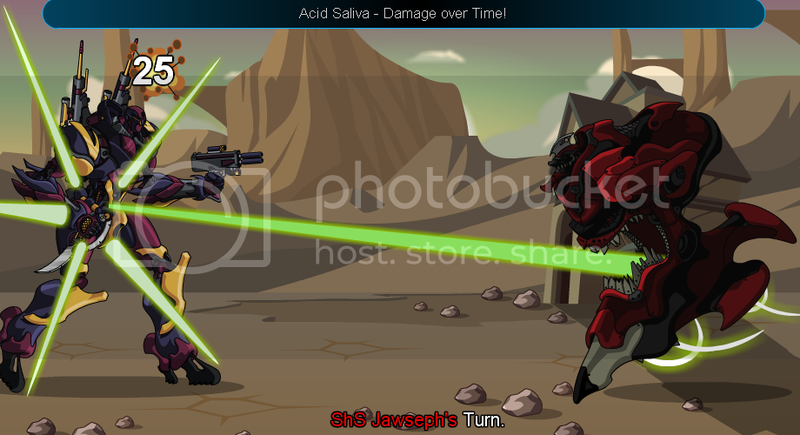 100% Chance for "Acid Saliva - Damage over Time! ", causes DoT, lasts 3 turns. 100% Chance for "Doom Licked! 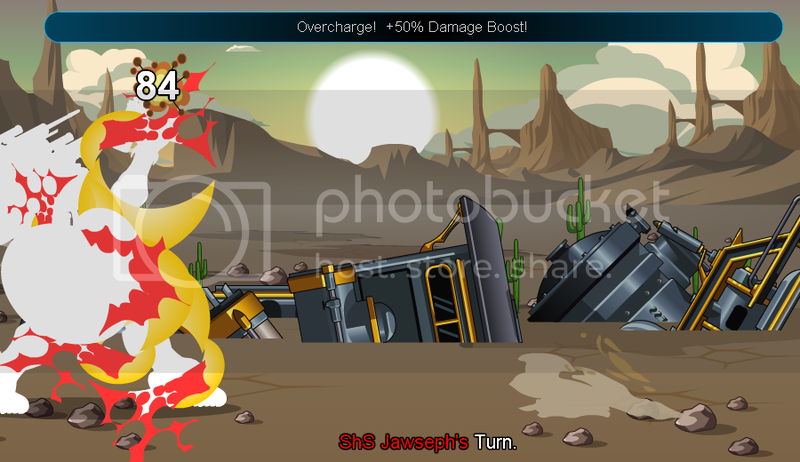 Damage Boost Lowered", lowers Boost by X, where X is either 20 or 50, lasts 3 turns. Chance for "Improved Targeting! +30 to Hit! ", increases attack's Bonus by 30. 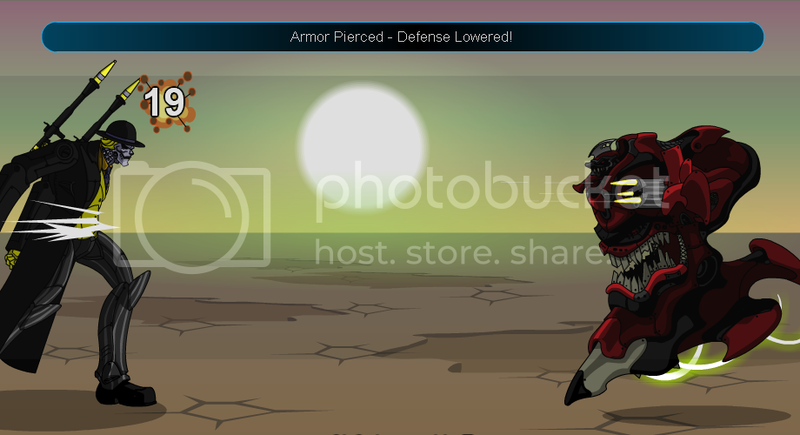 100% Chance for "Armor Pierced - Defense Lowered! ", lowers Defense by X, where X is the number of successful hits times 20, lasts 3 turns. 100% Chance for "Sonic Wave Disrupting Energy Regen! ", causes EP DoT, where the DoT damage is equal to your mech's EP Regen, lasts 3 turns. -- #13 for attack images.